The Legal Genealogist‘s Texas-born-and-bred grandmother would have taken one look at yesterday’s snowfall and shaken her head at the idea that her grandchild had to get up at oh-dark-thirty and catch a plane to the Lone Star State today. It’s cold, it’s dark, there’s a whole bunch of snow between me and the street where, with some luck, a cab will be waiting to take me away from all this. I hope, if Mother Nature doesn’t pull another fast one, to be heading out to the Houston Genealogical Forum and an all-day session tomorrow. We’ve got some methodology on tap, and some DNA, and — surprise, surprise! — a whole bunch of genealogy and the law. The University of North Texas Libraries have this amazing website called The Portal to Texas History — and Gammel’s laws are all digitized there. Volumes 1-10 cover the years 1822 to 1897;3 those were the volumes published in 1898 with the documents salvaged from the Capitol fire. Volume 11 picks up with the laws of 1897-1902;4 volume 12 has the laws of 1903-1905;5 volume 13 the laws of 19076 and so forth. Off to Houston, Gammel in hand! Image: Open Clip Art, user anonymous. 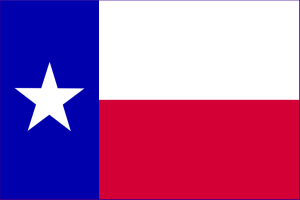 I don’t have any Texas ancestors, but I am a Texan! And, I’m hoping to meet you tomorrow. Praying your weather is clear getting out… it’s going to be a lovely day in Houston! Everything is GO for today, Dana! See you there shortly! Lucky you Judy! Arriving in Texas just after the bad weather. Wednesday it was snow and ice here in Dallas. Houston just caught the rain, but I believe you will have a couple of sunny days anyway…just for you cousin!